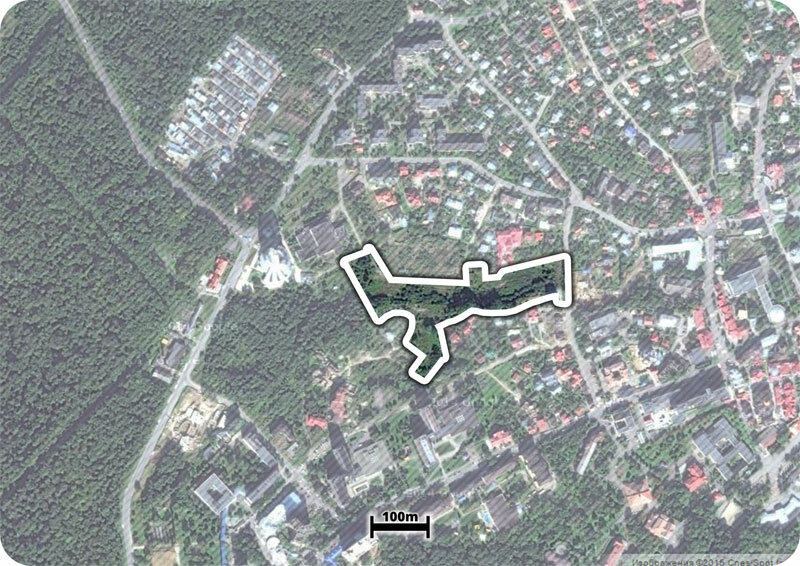 Location of investment site The town of Truskavets, Roksolany street. The site is located in recreation resort zone. Area of investment site The total area of the investment site is 2.2 ha. It is an integral territory. Land specification The site surface has rugged relief. Elevation changes range from 377 m to 380 m without including embankment. There are water intake and water disposal on the territory of the investment site. Premises (buildings) on site if any There is an incomplete construction project 2% (immovable estate – concrete piles), which is owned by LLC “Anhel Trade”. open car park for 15 places. Availability of sewerage network – current collector with diameter Ø400 mm on Roksolany street. Technical specification for network accessing should be verified. Telecommunications infrastructure Telecommunication access is provided by: Volia, Ukrtelecom, Radionetwork, Kyivstar (Interactive TV, mobile telecommunication, the Internet, including broadband Internet). Transport links to investment site An access road is nearby – the asphalt road on Roksolana street, as well there is an access from Boruslavska street along drive-through aisle near the house of culture “Myr”. The distance to local road Truskavets–Drohobych is 800 m, the distance to the airport in Lviv is 90 km, the distance to the railway line is 1.5 km (Truskavets station), the distance to the cargo railway line is 10 km (Stebnyk station, Drohobych station). Limits in territory development if any The site is developed according to the Urban development master plan. There are no restrictions. Variant 1. Purchase of incomplete building object. The land site is provided for use of new owner without changing of the site intended purpose. Variant 2. The site and incomplete construction object licitation with value compensated to an owner. Estimated value of investment territory There is no estimated value of the site. The complex construction – 5 216.0 thousand USD . treatment pavilion – 208.0 thousand USD.